It was a great day for Franklin and those in attendance at the Laramie County Library System to kick off Veterans Day weekend! On Saturday, November 10 there were 70 chairs set up for people eager to hear Franklin’s stories about his youth and years at Tuskegee. We were thrilled to see more than 140 people show up. People were standing throughout the room. What a testimony to the patriotism still alive in our country. It was a joy to see young kids listening to every word he had to say, including his answer to a young girl’s question, why didn’t you like school? Because it was school! They made me sit still and be there every day. 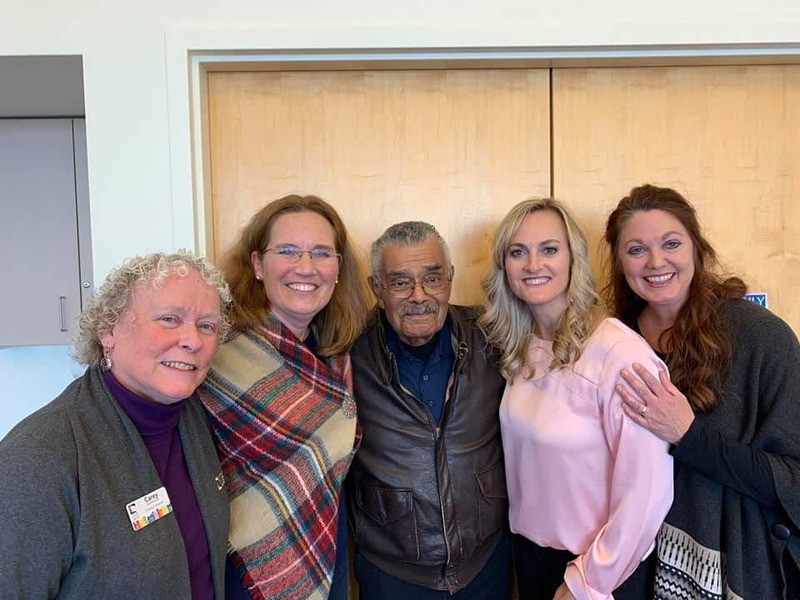 Franklin was at the library to promote his story featured in his book “I Wanted to be a Pilot: The Making of a Tuskegee Airman.” A book which is written for upper elementary and junior high school students. Franklin is one of the original documented Tuskegee Airmen. He always wanted to be a pilot and the story explores his ambition to do so and explains his up bringing in Colorado Springs, Colorado. He was joined at the library with his co-author, Elizabeth Harper. The Tuskegee Airmen refers to a group of African-American military pilots who fought during World War II. Formed were the 332nd Fighter Group and the 477th Bombardment Group of the United States Army Air Force. Franklin discussed his challenges as a child and still to this day with reading. He learned in his thirties that he has dyslexia. He encouraged the kids to always give their best and try new things. Franklin and Elizabeth were also joined with her writing partners, Stephanie Prescott and Deanna Dyekman, at the event. They championed the writing of this book to make sure Macon’s story carries on. The book is available for sale it’s a group of unique stories and discovery, as well as perseverance.